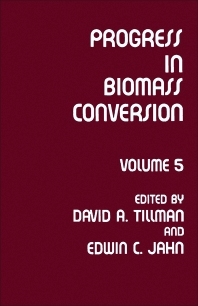 Progress in Biomass Conversion, Volume 5 aims to represent the multidisciplinary nature of the biomass community. The book discusses the hydroprocessing of biomass tars for liquid engine fuels; fuel characteristics of wood and nonwood biomass fuels; and the factors influencing dilute sulfuric acid prehydrolysis of southern red oak wood. The text also describes the energy costs of increased organics recovery for chemical by-products in Kraft pulp mills; the microeconomic approaches to biomass fuel pricing; and fuel characteristics of selected species of beached logs in Southeastern Alaska. An assessment of the costs and benefits of recovering logging residue for energy use and a review of biomass gasification technology are also encompassed. Chemical engineers, agriculturists, and forest scientists will find the book invaluable. David A. Tillman, PhD, has over 40 years of experience in all phases of the energy industry having worked at the plant level for DTE Energy as plant production specialist-fuels and combustion for Monroe Power Plant, at the power plant design level for Foster Wheeler as Chief Fuels and Combustion Engineer, and at the policy level as Vice President of Materials Associates. He also served as senior project manager for Ebasco Environmental, dealing with solid fuel projects. He retired from Foster Wheeler and now serves as an independent consultant. He has authored and/or edited some 20 books and over 200 papers and book chapters on the subjects of solid fossil and biomass fuels.